it’s quick and easy to set up with numerous advantages. ….HardSoft Computers offer a flexible lease on computers and IT for business users, known as the ‘Flexi-Lease’. As an Apple Authorised Reseller, a HP Preferred Partner and Partners in many other brands such as Lenovo, Sony, Toshiba and Samsung. With all of this available on lease, HardSoft are sure to have the right solution for your business. Doing business in a recession is hard enough and leasing computers makes great financial sense. Interest rates are low and leasing with HardSoft is flexible with options to renew into a new contract after 2 years – just like a mobile phone contract. And it’s easy and quick to arrange ! Whether it is an Apple Mac or Windows PC you are after, we have an option for you! With a 27” Apple iMac starting at just £12.80 + VAT per week on a three year flexible lease for all of you Creative Professionals or our 5 User PC network starting at just £43 + VAT per week for the perfect office setup! So, what are the benefits of leasing your IT equipment through HardSoft? We offer the unique option to upgrade your IT equipment 2 years into the 3 year lease, whilst KEEPING your existing equipment. Meaning you are always up to date with the latest kit! You can offset all lease payments against your annual tax profits. 100% tax relief on any leased equipment should reduce your tax bill! HardSoft include a full 3 year warranty with all computers including parts and labour plus with many Apple Mac’s you even get a loan unit whilst yours is being repaired. The ‘Flexi-Lease’ is solely for business users, however, HardSoft have now created a package just for home users ! 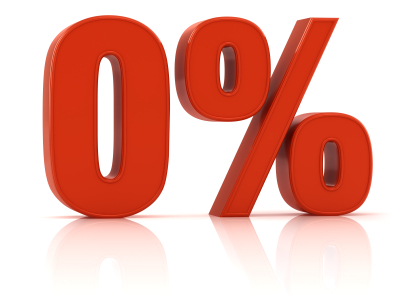 Personal 0% Interest Free Credit is available just on Apple Mac products and are available over a 12 or 18 month period. 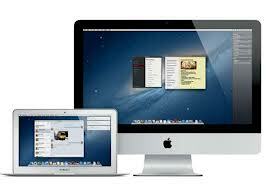 All packages include Microsoft Office 2011 Home and Business Edition and 3 Year Apple Care warranty. For example, the 21.5” Apple iMac is available with just a £135 deposit foll9owed by 18 monthly repayments of £67.11. If the iMac isn’t for you and you fancy one of the brand new Apple MacBook Pro with Retina Display, these are also offered on Interest Free Credit! With a small deposit of £222 and 12 monthly repayments of £166.35! With a short online application to be filled out and an instant decision on the finance, we will only need 10 minutes of your time! Once the credit has been approved, we will email you the paperwork which can be signed electronically and deliver your brand new equipment 24hrs after that! So, if you are employed, over the age of 18, then you are eligible for this fantastic offer! For further information of any of the above, then please contact our friendly sales team right away on 01279 718 693 or email sales@hardsoft.co.uk.